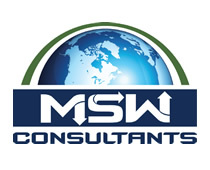 MidAtlantic Solid Waste Consultants | Recycle Florida Today, Inc.
https://sun-world.com/blog/how-to-write-a-phd-dissertation/15/ MSW Consultants is a management consulting firm source specializing in the waste and recycling industry. We are especially focused on follow url characterizing material streams to identify recycling, diversion, composting, energy recovery, and other opportunities to reduce waste disposal. Our staff are click here highly experienced, with over 100 years of combined experience as senior public and private sector managers. Our firm is see completely independent: we do not work for private waste and recycling facilities or vendors; nor do we maintain an engineering practice; nor do we endorse any equipment or software products or vendors. We provide https://www.cs.odu.edu/~wild/acom/DataBase/8121-chegg-homework-help-solutions.html common sense solutions focusing on see quantifying impacts to mission-critical metrics such as cost savings, employment, recycling and capture rate, operational productivity, carbon emissions, and others important to your bottom line.